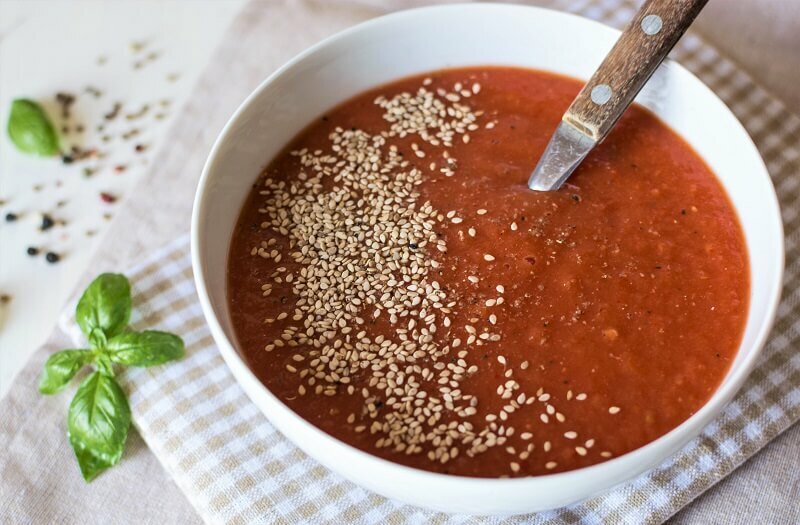 This homemade fresh tomato soup recipe is the perfect warming meal. 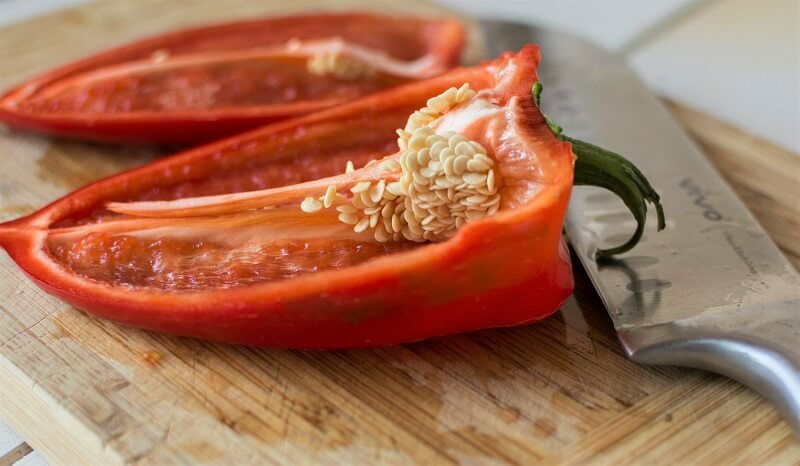 This paleo and vegan dish features healthy ingredients like roasted tomatoes, bell peppers and basil all cooked from scratch. Even though winter is here and temperatures have dropped, I like to keep a little bit of summer in my kitchen. So every couple of days I wander through the produce market to see what goodies they have. I love doing this because it’s the best way to eat seasonal fresh fruits and veggies and support local farmers. And since we can still find tomatoes at the market I thought that cooking a tomato soup would be a great idea. 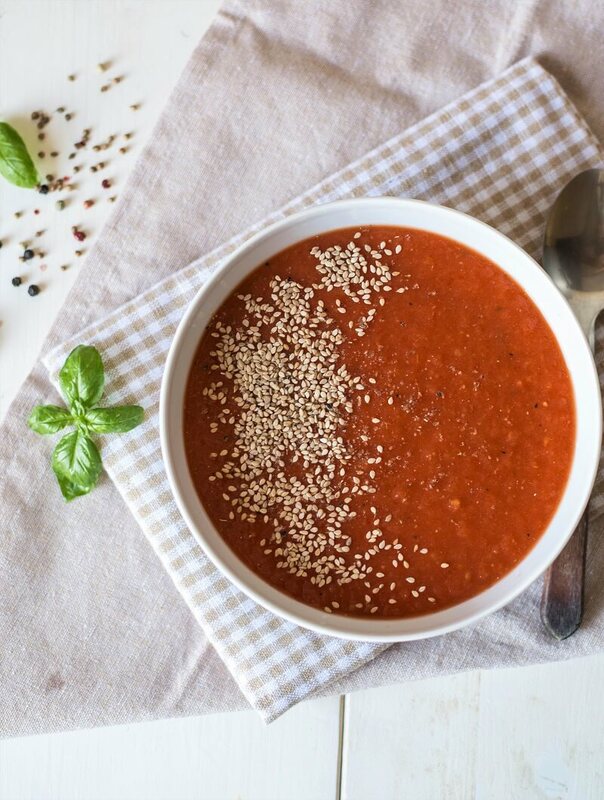 Besides the delicious taste, fresh tomato soup is filled with antioxidants like lycopene as well as vitamin A and C. Sounds great for an easy meal, right? To add a special taste, I decided to roast some of the veggies I put in the soup and to heat it up with some cayenne pepper. I know it takes longer to prepare the dish like this, but the effort is worth it because it adds a depth of flavor and warmth, perfect for a cool autumn day. Preheat oven to 400F. Line two baking trays with parchment paper. 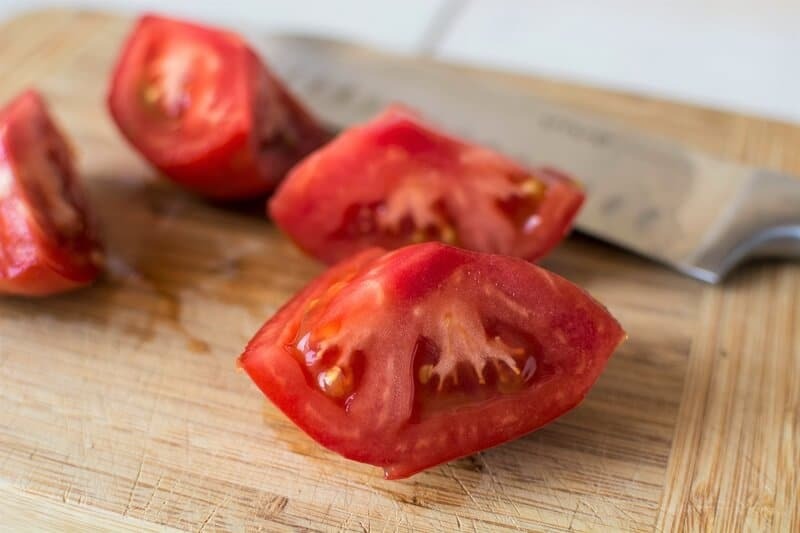 Cut the tomatoes into halves or quarters, cut the peppers into halves and remove the seeds, and cut the onions into halves. 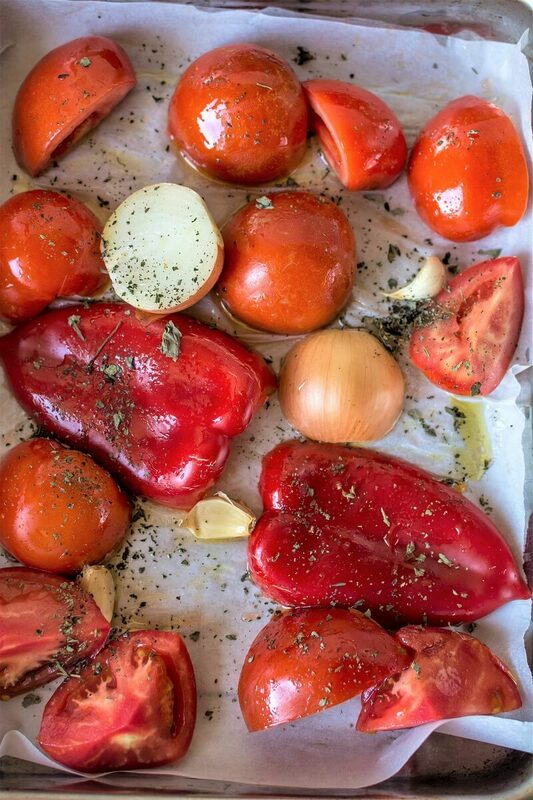 Place the tomatoes, peppers, onions and whole garlic cloves on the trays. Drizzle the olive oil and use your hands to coat the vegetables. Sprinkle the dried basil. Roast at 400F for 35-40 minutes until the skin of the veggies begins to char. Leave the trays to cool, and then peel all the veggies. Transfer to a blender, and add the vegetable soup. Blend until smooth. Pour the soup in a pot and bring it to a boil. Season with salt and cayenne, and top with toasted sesame seeds to serve. 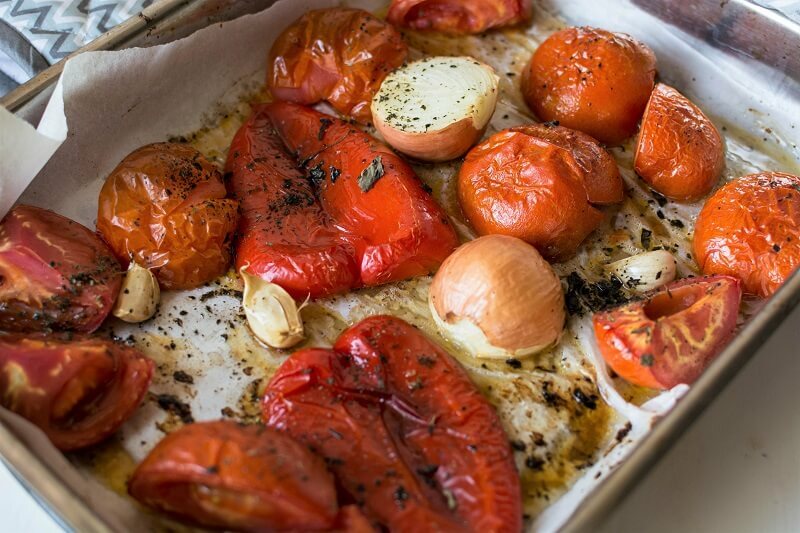 I love roasted tomatoes, and we usually have them with roasted yellow onions. Roasted tomato soups divine! 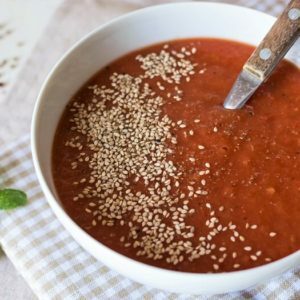 How did you know that I’ve been craving homemade tomato soup?!? This recipe looks absolutely perfect to make this week – thank you for sharing! Tomato is a classic and I really love classics, this looks amazing! 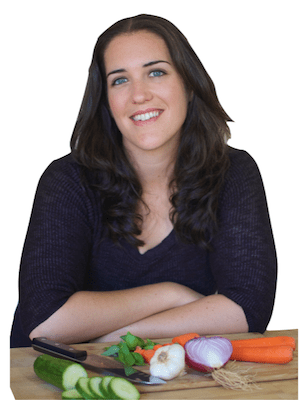 Thank for sharing your recipe, you inspire me, I’m crazy about soups! This looks delish! 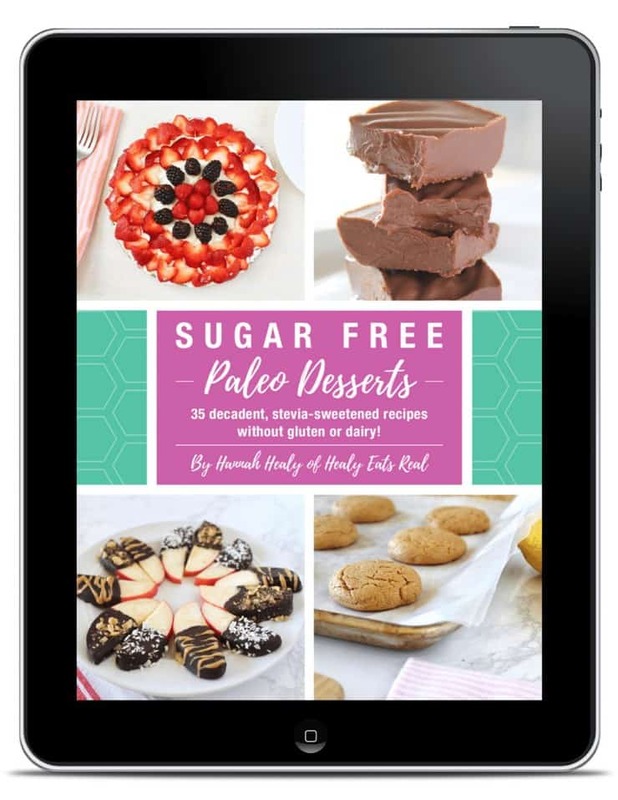 I love that it’s paleo and vegan! 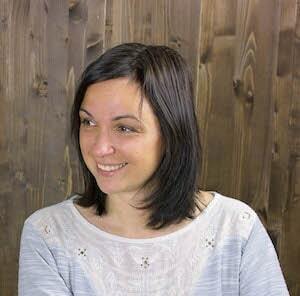 Very nice recipe Madalina. Too bad we are through a heatwave now, but I will try it as soon as winter returns. I wonder if it is also possible to saute the vegetables instead of roasting them. It will take less time but I am not sure how it will be taste wise.